Salzburg is a very pretty place and you could easily spend more than a week exploring the city and its surroundings. However, for most international visitors, the city of Mozart is a stop-over destination. Many tourists from overseas want to combine a day or two in Salzburg with a bit of time spent in Munich, the closest of the larger German cities. There are plenty of trains running between Salzburg and Munich every day, so you will have no problem getting there. Additionally, there are other means of transport you might want to consider. This article will hint at a few of them. Distances: The distance between Salzburg and Munich is approximately 115 kilometres (a bit more than 70 miles). Roads and railways between Salzburg and Munich are excellent; the latter are more popular with the kind of independently travelling overseas tourists that make the target audience for this website. Trains between Munich and Salzburg depart from the very early mornings until late evenings essentially on an hourly basis (or even more regularly than that during rush hours). Since both Munich and Salzburg are important transportation hubs, trains pass through the two cities essentially around the clock; however, night-trains might offer inconvenient connections in terms of necessary changes or long driving time. If you take a train from Salzburg to Munich (or the other way round) at some time between approximately 7 am and 9 pm, you will get there in less than two hours. The route that the train takes is a rather pleasant one, passing by Lake Chiemsee and various picturesque stretches of Bavarian landscape. Over-all, travelling from Munich to Salzburg by train is by far the most convenient way; the only significant disadvantage is the cost involved: Train tickets cost approximately 30 Euros - one way. If you are under 26, you might consider buying a discount card. Interrail deals are also available. 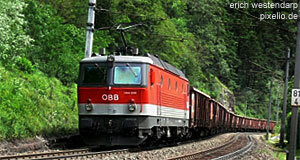 Do enquire with the Austrian National Railway about the cheapest way to travel from Salzburg to Munich or with the Deutsche Bahn (German National Railway) if you travel from Munich to Salzburg. Travelling from Munich to Salzburg by bus would be unusual unless for airport transfers. Note that Munich Airport is one of the biggest German (and therefore, European) airports and thus popular with passengers flying in and out western Austria, particularly Tyrol, Salzburg and parts of Upper Austria. Therefore, Lufthansa operates a shuttle bus from Munich to Salzburg (and other destinations in Austria). This bus takes about 2.5 hours and is even more expensive than the train connection, but come with the convenience of taking you from the airport straight to Salzburg. Discounts are available in combination with a Lufthansa ticket. Additionally, there are also tourism companies that offer packages for day-trips from Salzburg to Munich or the other way round; they might be a significantly better deal for you, but are done only during the main season and a purely touristy thing. For such commercial offers, enquire with the tourist information centre in Munich or Salzburg. The highway between Munich and Salzburg follows pretty much a straight line between the two cities; getting from Munich to Salzburg or the other way round should take you about 1.5 to 2 hours. This depends largely on weather conditions and traffic, obviously. Note that the "Autobahn" on this route is less exciting than its legendary reputation - in most sections, you do have speed limits. That being said, you wouldn′t want to rush through this area anyway: The many lakes, picturesque villages and gentle hills make this part of Bavaria one of the nicest areas of Germany. Stopping by Lake Chiemsee will add another benefit to a car. Most international car rental companies have offices in Salzburg and Munich; just do a web search on the usual suspects and you will find plenty of websites.